In the figure above, n is parallel to p. If x = 30 and y = 80, what is the value of z? We have been asked to find the value of z.
the angles formed are x(adjacent angles), y(corresponding angles because n || p) and z. We know the sum of angles in a triangle is 180 degree. 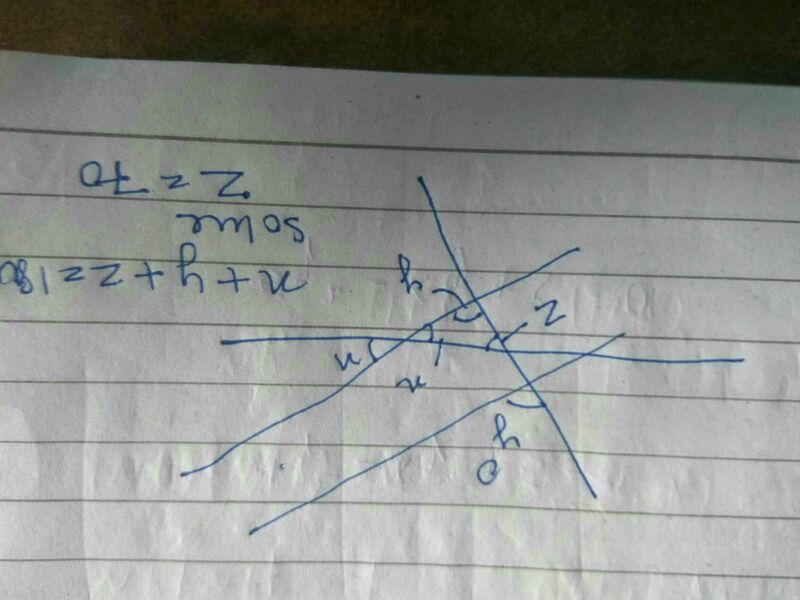 Parallel lines makes same angle on a 3rd line.